This collection of in-depth case studies emphasizes the diversity and inventiveness of local initiatives since the Rio 'Earth Summit' within different national settings. 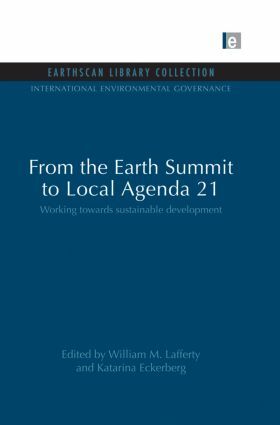 From the Earth Summit to Local Agenda 21offers a realistic counterpoint to the official monitoring and assessment procedures of national governments and international bodies. It highlights the problems of assessment and policy evaluation and clearly sets out the policy stages necessary for more effective realization of Local Agenda 21 objectives.